Now, let’s forget cleaning products for a second here and say something totally obvious but often forgotten. If, by any chance you have those removable covers for your furniture make sure to clean them the right way. Some can be thrown directly into the washing machine as for some you’d have to ask for professional assistance. Important thing to have in mind is that you should never be afraid of cleaning these yourself. Just make sure to look for tags on these types of fabrics, because they usually say it all. Also, pay close attention to washing and dry instructions, because you definitely want to avoid any shrinkage or loss of colors. In some case, like we said, it’s always good to ask for professional assistance if there is any ‘misunderstanding’ between you and the fabric. Some of them require professional washing or dry cleaning simply to maintain the look it had when first bought or at least as close as possible. Like we said earlier, today market is filled with different types of cleaning products and even though spray products are one of the best, there are still other types worth mentioning that also have great effect on your upholstery and furniture. Different varieties of creamy types of products that are used for maintaining leather furniture can also be used in many other different ways. Let’s say you can try applying a cream onto a piece of upholstery before washing it out with water and it will still have the desired effect on totally different type of fabric. Some stronger creams should not be used on light upholstery pieces since they can ‘eat’ through the fabric if not used in recommended doses. 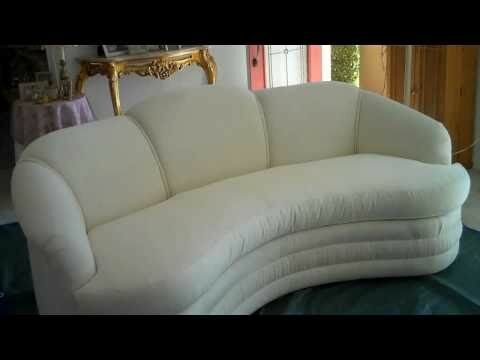 Also, there are different types of foams offered by great companies, used for removing stains and unpleasant odors and great thing about them is they can be used in a combination with other products – but, again, you have to make sure not to apply too much, since it can cause damage on the fabric.